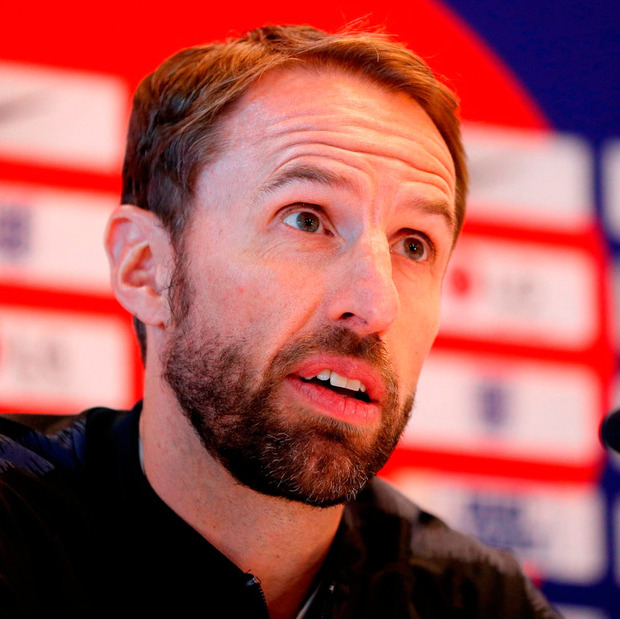 There was an image that Gareth Southgate described as he spoke of how England need to use their World Cup achievements as a platform to greater and even trophy-winning success. He is keen to convince his players that reaching the semi-finals was not just a “one-off”. The image was of a young boy pedalling furiously up to the England team hotel on his BMX bike – just as he had done before the squad headed out to Russia. “I remember there was a lad who cycled up here to the hotel on his bike. He was waiting for us, he was 13. He was there today, too,” the England manager explained after the boy had dropped off a thank you card and met the England manager. Now the work begins again: to improve, to get better and, as Southgate emphasised, to play better. “We’ve got to convince ourselves it wasn’t a one-off. That’s the most important thing. That embrace will be felt warmly at a sold-out Wembley tonight as England kick-off their Nations League campaign against Spain, who are now under the new management of Luis Enrique after their summer debacle. Croatia – who beat England in that Moscow semi-final – complete the three-team group. Before kick-off, captain Harry Kane – who will wear golden boots given to him by his boot supplier – will be awarded the Golden Boot trophy for being the World Cup’s top-scorer, but England are then determined to move on from an air of celebration or congratulation and get down to business. Southgate was brutally honest in his assessment of what that means, especially against opposition of Spain’s calibre. “We want to test ourselves against the very best,” he said. “If you look back through history, England’s competitive record against top teams is non-existent. Southgate held a debrief this week with the players, reviewing the Croatia game in particular, analysing areas that need to be improved upon. “It’s a good moment to build on what we’ve done. When we look back, the next four years after 1990 weren’t great. That’s the challenge I’ve spoken to the players about. The fact that England have retained their manager – something that did not happen in 1990, with Bobby Robson leaving, or after Euro 96, when Terry Venables stepped down – provides further grounds for optimism. Luke Shaw, who has started all four of Manchester United’s Premier League matches, is set to start ahead of Danny Rose, but the rest of the team will have a familiar feel in the 3-5-2 formation. “The system suits the strengths of the players we’ve got,” Southgate argued as he still wrestles – in the absence of the injured Adam Lallana and with Phil Foden and James Maddison still lacking experience – with getting more creativity and control in midfield. In the absence of Raheem Sterling, Dele Alli is expected to play closest to Kane. For his part, Luis Enrique has promised to oversee a new approach as Spain bid to start afresh after their dismal World Cup campaign. “Attacking football, high press, try to dominate the game. We will see where we find spaces but we will be aggressive,” he said. The irony is that Luis Enrique has never exactly been a purist for the national approach descended from Barcelona’s, and has always demanded a slightly more direct style. And that might be exactly what Spain need to get the adrenaline going. Captain Sergio Ramos admitted they were adapting to the new manager’s approach. Ramos also denied that there were any issues between himself and Luis Enrique, from the manager’s time at Barcelona, merely saying they are similarly “strong characters”. This is something else that fires a subplot of the new regime. A notoriously spiky character, Luis Enrique may give this squad a jolt in another way. He has already banned mobile phones from dinner and meetings, playstations from the camp, and even the boardgame Ludo, which is to Spain what Monopoly is to England.